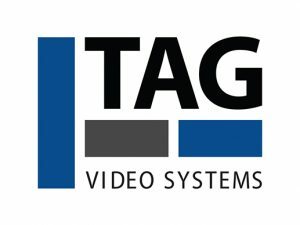 The Sports Video Group is pleased to welcome TAG V.S. as a corporate sponsor. Founded in 2008 by Tomer Schechter and Gal Waldman in Tel Aviv, Israel, TAG V.S. has earned a reputation as an industry visionary and remained ahead of the competition by anticipating and addressing the changing needs and requirements of the IP-multiviewer and -monitoring market. The company’s flagship MCM-9000 was the first of its kind at a time when no one imagined a pure-IP end-to-end multiviewer system: an all-in-one software solution that provided DVB MPEG-TS as well as baseband video/audio analysis, with alarming and HD mosaic multiview creation, using off-the-shelf IT server hardware. 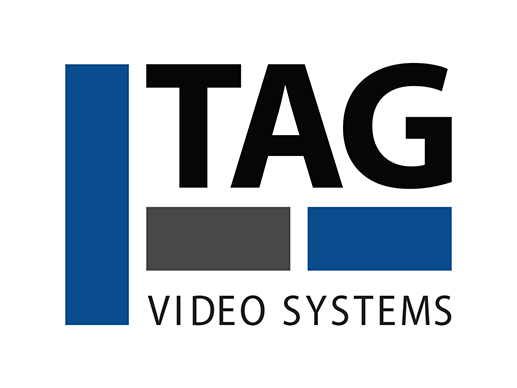 The solution shattered traditional monitoring paradigms and has since been enhanced with OTT support and, more recently, support for the SMPTE 2022-6/7 and 2110 IP HD and UHD uncompressed video and audio streams at the inputs and outputs, a development that has disrupted the way media is viewed on multiviewers. The MCM-9000 now features two-frame latency. TAG V.S. has grown into an international organization with a solid infrastructure and a customer list that’s testament to its quality and service. Many tier-one, high-profile organizations have become loyal, long-term customers: NBC Sports, Deutsche Telekom, Fox, Tata Communications, Sky UK, MLB, and numerous others that recognize the innovation and advanced technology that TAG V.S. provides. According to TAG V.S., the MCM-9000 targets many must-have features for sports broadcasters. As a software-only, IP-based UHD multiviewer and monitoring system, the MCM-9000 combines sophisticated technology with simple operation to deliver the features and functionality crucial to sports broadcasting. The recent MCM-9000 product release is optimized to address the new SMPTE ST 2110 standard in HD and 4K UHD sources at the input, with HD and UHD outputs available as 2022-6/2110 uncompressed and/or MPEG-TS and simultaneously HLS at the output to allow mobility/viewing outside of the MCR/NOC). Multiple formats are supported at input and output: 2022-6/7 and 2110 SDI over IP uncompressed, MPEG-TS compressed (including TR-01 JPEG2000), and OTT (HLS and MPEG-DASH) sources. Having all of them on the same platform enables the MCM-9000 to adapt and cater to the sports-broadcasting ecosystem without having to change equipment. And, because the software and licenses remain the same as COTS hardware is improving, costs are minimized over the life span of the product. The MCM-9000’s extremely low latency of two frames for uncompressed in/out sources suits it for sports production or live events. It provides a complete monitoring solution for all the transmission layers of both uncompressed content and compressed MPEG-TS HLS/MPEG-DASH, starting from the TS packet header all the way down to the decoded video/audio content and its quality. TAG multiviewers were recently installed at the Fox Sports facilities as part of a significant renovation project. The multiviewing system includes monitoring and display of hundreds of compressed and uncompressed channels throughout the facility, as well as transmitting the Mosaic outputs over Fox’s IP network to other Fox facilities in the U.S.